Cognitive restructuring is an essential part of cognitive behavioral therapy (CBT). CBT, an intensive form of therapy that requires significant effort on the part of the patient with assistance from a therapist, is considered to be one of the most effective treatment options for mental disorders like social anxiety disorder (SAD). Cognitive restructuring is a CBT technique that involves identifying and disputing irrational thoughts and negative automatic thoughts. It draws on several different methods such as thought recording, disputation, and guided questioning. The goal of cognitive restructuring is to replace anxiety-inducing thoughts with more rational and positive ones to reduce anxiety. The theory behind cognitive restructuring is that negative thoughts can be reformulated through practice. This process involves testing ideas for their accuracy and questioning if they are reality or just your own mistaken perception. Does Cognitive Restructuring Help Social Anxiety Disorder? The results of a 2016 study suggested that cognitive restructuring may positively impact social anxiety in the short-term, not because of changes in the perceived accuracy of negative thoughts, but rather simply due to exposure to a feared situation. This suggests that it's not so much replacing negative thoughts that is important, but rather going into situations and gradually having anxiety lessen. However, a 2014 study showed that post-event processing (PEP) was reduced after cognitive restructuring. PEP refers to the ruminative thoughts that you have after a social situation, such as "I screwed it all up" or "Everyone saw how nervous I was." This seems to indicate that changes in thinking are important for anxiety reduction. While we don't know the precise reason cognitive restructuring has an effect, it is likely a combination of these factors: thinking more rationally, facing situations that scare you, and engaging in less ruminative afterthoughts. Each of these aspects will strengthen each other in a positive cycle. Cognitive restructuring is an intensive process. It is usually recommended that you work with a therapist who specializes in both social anxiety and cognitive behavioral therapy. However, while it's true that you should generally practice cognitive restructuring under the guidance of a trained therapist, you can also get started with some self-help techniques. Below are some tips on how to start practicing cognitive restructuring in your everyday life. Record: Record your thoughts in a journal, including all negative thoughts you have about yourself or self-limiting ideas. Also, note the situation at hand: was it a large party with people you didn't know? Or, was it a public presentation in front of coworkers? Write down the implications of how you felt. If you were convinced you were going to fail, did that make you more nervous or did you refuse to attend the event? Analyze: With the help of your therapist, review the notes you have written to determine if certain patterns exist. You may find that you are okay in work settings, but get anxious at parties where you don't know anyone. It might be that public speaking scares you, but not mingling with strangers. Analyzing these triggers can help you and your therapist create a strategy to combat your unique form of social anxiety. Dispute: Review the thoughts about yourself and critique them for accuracy. If you wrote down "I always fail at everything," think about times when you did succeed in your social or professional life. Identify a few examples, and disprove the thought that you wrote down. Replace: Replace those disproven negative thoughts with accurate and positive affirmations. Instead of "I always screw up," replace that thought with "I'm a very strong researcher" or "I'm a great listener." Below are some additional tips to make the most of cognitive restructuring. It's best to be in a calm state of mind when doing this process. If you are still anxious from a situation, take some time to calm yourself by using techniques such as deep breathing or meditation. Use a self-help book specifically designed to help you implement CBT techniques. Most of these books will include a worksheet to help you practice cognitive restructuring. Monitor yourself for negative automatic thoughts in the future and replace them with the positive affirmations that you created. 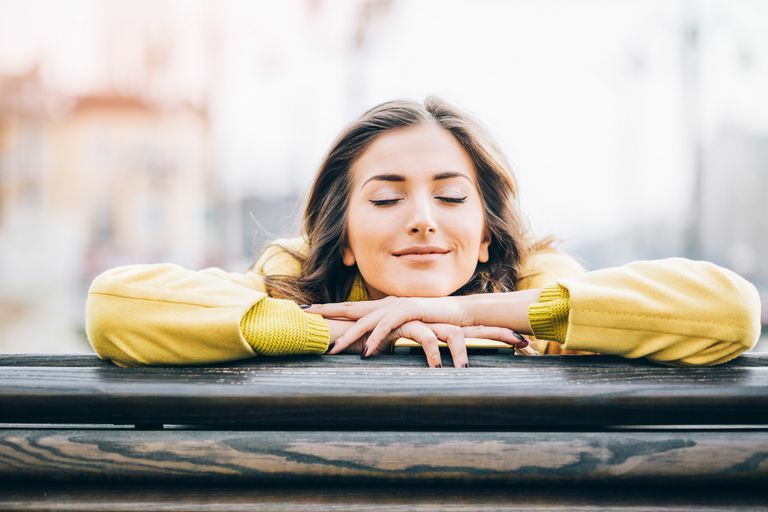 Practicing mindfulness meditation can be helpful to learn how to detach yourself from your thoughts or to let them go without fighting against them. It can be used alongside cognitive restructuring as a helpful tool. Cognitive restructuring is not an easy skill to learn, even with the help of a healthcare provider. Particularly if you have social anxiety, you likely have spent years thinking negatively about yourself, worsening your anxiety and nervousness. However, cognitive restructuring does get easier with practice. Continue working on it for your different fears with the help of your therapist or doctor. Over time, cognitive restructuring and cognitive behavioral therapy can have a significant impact on your social anxiety. Underlying your negative thoughts is a core belief about yourself and your ability to function in social and performance situations. Once your thoughts and actions are significantly changed, your core beliefs will also eventually shift. Barrera TL, Szafranski DD, Ratcliff CG, Garnaat SL, Norton PJ. An experimental comparison of techniques: cognitive defusion, cognitive restructuring, and in-vivo exposure for social anxiety. Behav Cogn Psychother. 2016;44(2):249-254. Mills H, Reiss N, Dombeck M. Cognitive Restructuring. Mental Help, 2008. Shikatani B, Antony MM, Kuo JR, Cassin SE. The impact of cognitive restructuring and mindfulness strategies on postevent processing and affect in social anxiety disorder. J Anxiety Disord. 2014;28(6):570-579. Norton AR, Abbott MJ. The efficacy of imagery rescripting compared to cognitive restructuring for social anxiety disorder. J Anxiety Disord. 2016;40:18–28. Huppert JD. The building blocks of treatment in cognitive-behavioral therapy. Isr J Psychiatry Relat Sci. 2009;46(4):245–50.